The park is a passageway: it is the perfect place to explore on the move, allowing you to stop wherever you want to explore a village, enjoy a view or try a restaurant. Sometimes you will have to stop to let sheep cross the road, or wait for a cow as it decides when to move, or you drive slowly while following a tractor. These are not delays, but attractions which allow you to experience the park's daily, rural life. The Park boasts some of the most beautiful and peaceful roads in Italy, making driving an attractive choice for visitors. Driving allows you to be free to explore the entire park Park easily. Motorists can quickly travel to the sea of Versilia, the Apuan Alps, Tuscany, Emilia and the Po river Valley, or simply to drive from one side of the park to the other. Make sure you are ready to navigate by acquiring a map of the Tuscan-Emilian Apennines and having printed directions to your desired destination at hand. While a GPS can be helpful in larger cities, some of the roads in the smaller towns have not been mapped and your GPS may take you on a longer route than necessary. This can be part of the fun! 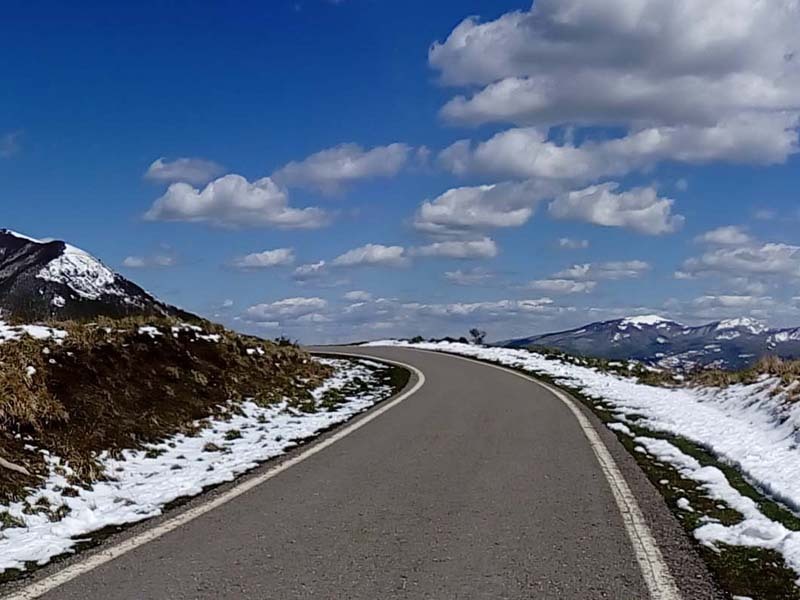 Look at driving through the Apennines as part of your unique adventure through an lightly visited part of Italy. While there are signs that will direct you from town to town, they are in limited locations so, at times, you might not be sure you are on the right road. But if you get turned around, local business owners and residents will cheerfully help you back to the right path, while turning any unplanned sidetrack into a day of adventure. Again, the journey is part of the destination, so have fun with it! The switchbacks in the Park are not for the faint of heart. Stop by a local pharmacy and pick up some 'travel gum' or bring some dramamine from home to alleviate any motion sickness from traveling these roads. You must be 18 years old to rent a car in Italy with at least 1 year of driving experience. Drivers under 25 years of age may need to pay a young driver surcharge. Keep in mind that most Italian cars have a standard transmission. If you need an automatic, make sure to specify when making your reservation. Some roads of the park provide stunning scenic drives: narrow rural roads used by farmers and lumberjacks can give you the most astonishing views, and serve as unforgettable shortcuts linking one valley to the other. Scenic drives are great way to get out and see the Park's amazing landscape and villages. Either take one of the four passes and go from region to region or drive from valley to valley, peak to peak, or village to village. Check out our scenic drive page for ideas and routes for your next Park road adventure. Once you are in the Park it is easy to get around. There are only a few main roads that wrap around the mountains. Know these and you can get anywhere. The major towns in the Park are Castelnovo ne' Monti, on the north side of the mountains and Aulla on the south side. Locate these towns on a map and use them as points of reference when traveling throughout the park. Happy traveling! There are a few main roads in the Park that every visiting driver needs to know. These roads or 'passes' were created in ancient times and rebuilt over the years to allow for the easy passage from one side of the mountains to the other. With these five roads, drivers can get to any spot within the Park. The roads also provide easier orientation since they are posted on road signs throughout the Park. Click on the names of the passes below (in green) to bring you to a map of the region. Scenic drives are great way to get out and see the Park's amazing landscape and villages. Either take one of the four passes and go from region to region or drive inbetween from valley to valley, peak to peak, village to village. Check out our scenic drive page for ideas and routes for your next Park road adventure.